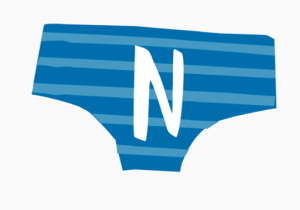 The talking PANTS campaign was introduced by the NSPCC to help teach children important messages, like their body belongs to them and they should tell an adult if they’re upset or worried. Your underwear covers up your private parts and no one should ask to see or touch them. Sometimes a doctor, nurse or family members might have to. But they should always explain why, and ask you if it’s OK first. Your body belongs to you. No one should ever make you do things that make you feel embarrassed or uncomfortable. If someone asks to see or tries to touch you underneath your underwear say ‘NO’ – and tell someone you trust and like to speak to. No means no and you always have the right to say ‘no’ – even to a family member or someone you love. You’re in control of your body and the most important thing is how YOU feel. If you want to say ‘No’, it’s your choice. There are good and bad secrets. Good secrets can be things like surprise parties or presents for other people. Bad secrets make you feel sad, worried or frightened. You should tell an adult you trust about a bad secret straight away. Talk about stuff that makes you worried or upset. If you ever feel sad, anxious or frightened you should talk to an adult you trust. This doesn’t have to be a family member. It can also be a teacher, a social worker or a friend’s parent.